So I recently came to understand something about black comedy which can apply to many other minorities. Black comics are given two tasks and serve two purposes. The overall aim is to provide diversity in material. There are experiences and perspectives which are best shared and can only be shared by black people. This is why diversity is important and this is why specific material is important to disaffected minorities. So the first way to go about this is to speak to those minorities about the things only they would know about. For an often forgotten section of society this makes them feel special and catered to for an evening. The second task and purpose is to represent their minority communities to the wider population. The responsibility is there to humanise your people and dispel misinformation. This is the reason for the two circuits. The urban circuit provides an arena for black people to hear their experience discussed in a way Michael McIntyre never could. The black comics who play the mainstream though are out every night in front of predominantly white audiences trying to show black people as equal members of the human race with equal contribution and similar aspiration. Whereas before, as a black comic with mainstream appeal, the temptation was to see no value in the urban shows, now I understand they serve a purpose. The reason why some “urban” comics strike such a chord with black audiences is because they speak to the experiences that bring that room together through prerequisite understanding. The reason why black mainstream comics have such universal appeal is that they attempt to unify people in spite of their apparent differences. Some may say we need each other. Some may feel one purpose is more important that the other. I personally heard all the black jokes, figured out the formula and got bored. That’s why I drew towards the opportunity of reaching further and trying my best to speak as both a human and a black man. 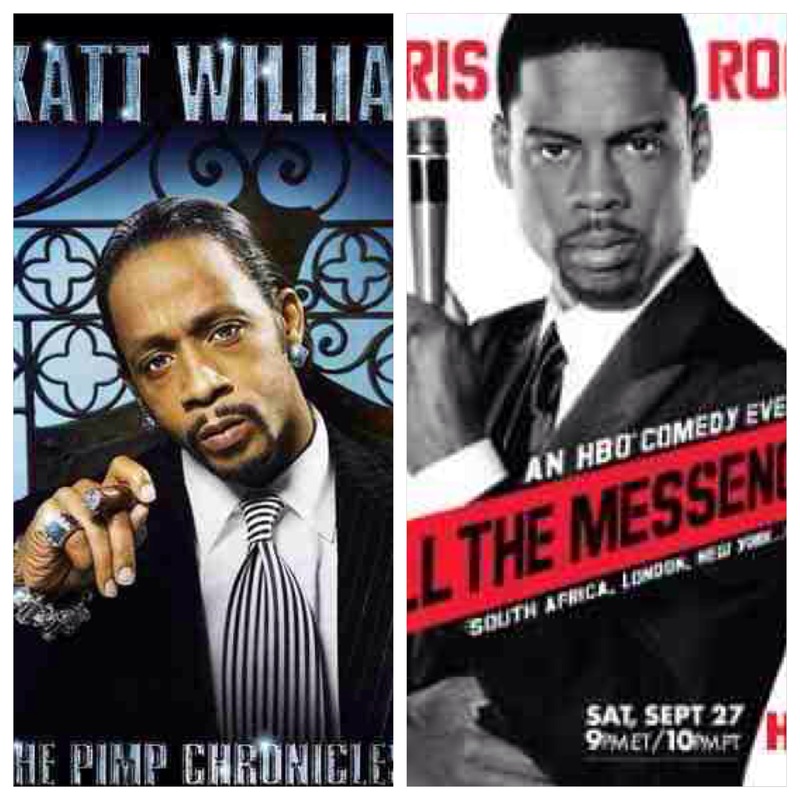 Wherever you stand, be it the Katt Williams or the Chris Rock school of thought, keep supporting live comedy.